The Recycled Museum brings museums objects and portable workshops to you. 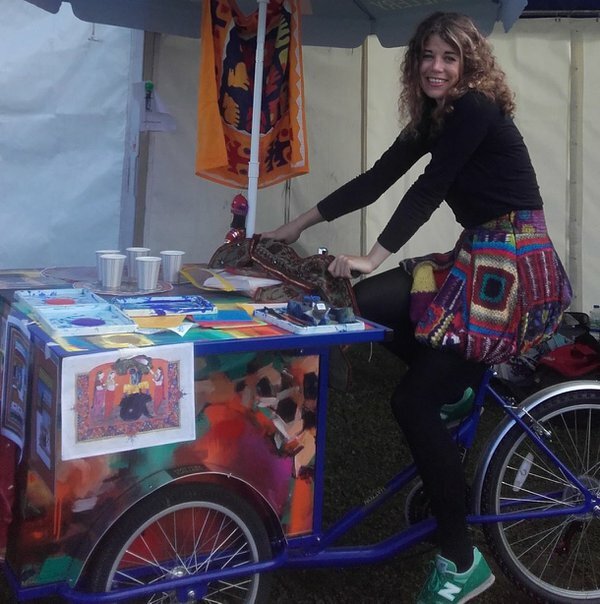 Designed from a vintage Tamar cargo trike and intricately illustrated by local graffiti artist Toby Heaps, the recycled museum allows access to museum collections, information and museum learning programmes. The Recycled Museum brings objects into schools, communities, local events, festivals and public places and lets people make sense of the world and their place in it. Museum and gallery based workshops can be scaled down to fit inside the portable museum compartment and brought direct to you giving you instant access to museum collections, practical workshops, object handling and a taste of what fantastic learning opportunities are on offer at Tyne & Wear Archives & Museums. The Recycled Museum is free to book for schools and community groups based in Newcastle Upon Tyne.